Corporate Requirements This element consists of a series of evaluation requirements that meet the needs of your corporation. It covers items such as Legal, Risk, Conflicts of Interest, Labor Standards, Human Rights and Anti-Competitive behavior. Business Requirements Each company will have a unique set of business requirements that each vendor partner needs to have. It covers items such as Capability, Technology, Intellectual Property, Supplier Quality Assurance, Business Processes, etc. Boiler Plate Contract Everyone might think this one is simple, but most companies do not have contracts with their vendors. A standard contract needs to include such items as Terms and Conditions, Warranty coverage, Audit Rights, Cost, NDA and other important features. 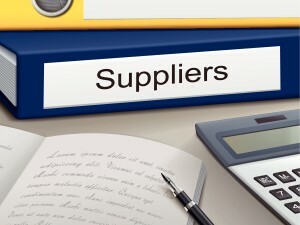 The boiler plate contract should be used for all vendor relationships. Annual Operating Agreement As an addendum to the contract, the Annual Operating Agreement is used to define the performance criteria required of the vendor. It is going to cover such things as Delivery Performance, Cost Reduction requirements, On Time Delivery and other Performance Targets. These requirements need to be reviewed every year and updated to reflect the ever changing requirements of the relationship. After all, strategies (both the company’s and the supplier’s) are updated every year and the agreements need to reflect changes in strategic direction and compatibility between both strategies. Scorecard This seems obvious, but most companies do not have a well-defined Scorecard. The Scorecard needs to reflect the requirements of the Annual Operating agreement and it must provide quarterly measurements of performance. Without it, how do you know how your vendor relationship is evolving and how does the vendor partner know how they are doing against the Annual Operating Agreement? Remediation In order to have a robust supply chain, each company should have a “fix or exit” program for their vendor partners. Without the appropriate review process which requires remediation of poor performers, the company will not realize the full benefit of the vendor partner relationship. As you can see, this looks simple, but it is not. Group50’s Supplier Management Program provides a company with the ability to maximize vendor partner relationships and to achieve year over year total cost and performance improvements. If a company doesn’t have this kind of process in place, then they are missing out on the appropriate programs and a significant opportunity to accelerate performance. Group50 has implemented Supplier Management and Continuous Improvement programs in many companies ranging from Fortune 50 to small privately held ones. There is a process and we can share it with you as part of the first step in your Continuous Improvement journey. Give us a call at (909) 949-9083 to discuss how you can create a strategy for your supplier management program and implement the required business processes to support it. You can also contact us here, or drop us a line at info@group50.com. About the author: Jim Gitney is the CEO of Group50® Consulting and specializes in the development and implementation of manufacturing and supply chain strategies and Continuous Improvement. Jim and the Group50 team are all former executives with well-known manufacturing and distribution companies who understand what it takes to put together a robust Total Cost of Ownership Model. Group50 has designed a series of strategic assessments, workshops and strategic execution tools that refocus companies and their critical business processes on cash flow, working capital and profitability. You can reach us at (909) 949-9083 or send a note to info@group50.com.